You may remember a recent Freshome post featuring a similar project, the Ghost Chair. 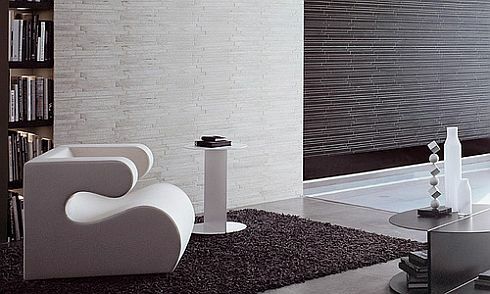 This particular furniture item was named Pasha Chair and comes from Pedrali, an Italian company promoting dynamic design. The transparent chair has a charming ethereal look which goes great in a modern interior. Its creators describe it as being a “synthesis between tradition and innovation”, as its shape is a classical one, while the materials from which it is made of (polycarbonate, glossy finish) and its overall see-through looks are contemporary. We really like the association of these transparent chairs with a flashy, strong color (the red cushion in the photo below for example). This mix can create an aesthetic and unexpected design effect within a room, adding personality.